Draft Polenta Machine has been specifically created to cook the gluten-free polenta to be served always hot and smooth. A simple combination of corn flour, water and salt poured into the machine will result, after 60 minutes of preparation, in a creamy polenta, even better than home-made, it will maintain its texture for up to 10 hours. You can make polenta from different sources using various types of flour and adding ingredients as desired; this will create alternatives to the classic Venetian polenta. 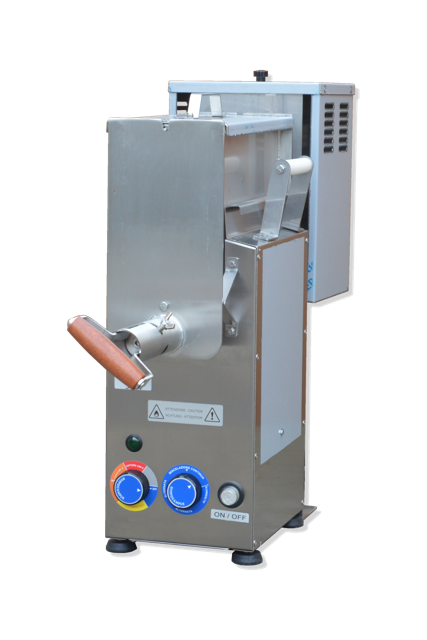 The Draft Polenta Machine is also good for a vast range of other uses such as jams, sauces, pastry and mashed potatoes. Suitable for anyone wishing to expand their own menu choices, with little space needed, the Draft Polenta Machine cooks a brand new, tasty and genuine dish. Designed to be used in commercial settings such as restaurants, cafeterias and bars, but especially ideal for venues such as food trucks, catering for parties and ceremonies, fairs and special events. Available in four models (115V and 220V) from 15Lbs to 60Lbs product and three special models (380V) up to 300Lbs of product. Polenta Output 15.50 Lb. 33.00 Lb. 48.50 Lb. 66.14 Lb. Unit weight 55.12 Lb. 63.93 Lb. 83.78 Lb. 110.23 Lb.